The Golden State - Home of The Grateful Dead. 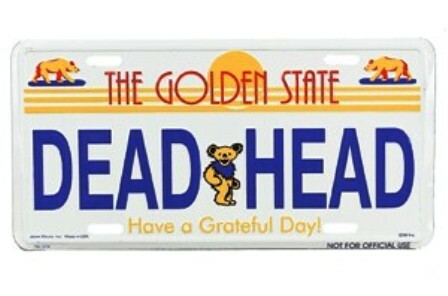 California Deadhead license plate. Size is a standard license plate, 12 inches wide X 6 inches high. Made in USA Officially licensed Grateful Dead merchandise.